1 Comments Published by Cedric Benetti on Saturday, August 8, 2009 at 8/08/2009 08:23:00 PM. 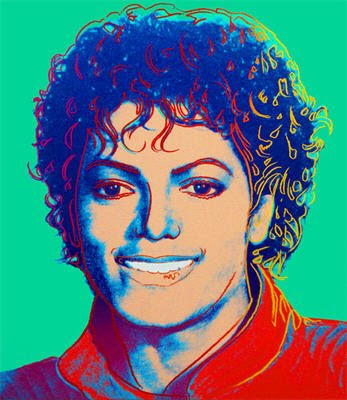 A Warhol portrait of Michael Jackson went on show in London this Thursday for 3 days in the lead-up to an auction in New York where it will go under the hammer on August 18 at the Vered Gallery, starting with an opening bid of $800,000, but where it certainly will be fetching much more with the now renewed interest in all things MJ. The highest priced Warhol portrait is “Lemon Marilyn” sold at Christie's New York in 2007 for $28.040.000 .